Rapid concentrated fixer based on ammonium nitrate is one of the most well known chemical receips. To maintain the great resource Silberra FIXER LQ has it is recommended to use stop bath prior to fixing your film or negative. 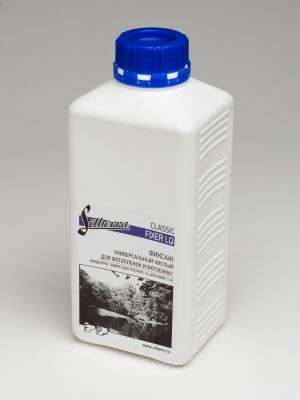 Silberra FIXER LQ is suitable both for film and photo paper. Sodium thiosulfate, sodium metabisulfite, sodium sulfite, ammonium nitrate. Working solution is prepared by diluting the concentrate in distilled water while actively stirring. To prepare a working solution of rapid fixer, it is recommended to use distilled water. Prior to dilution we recommend shaking the sealed bottle of Silberra FIXER LQ concentrate for 20-30 seconds. Stock rapid fixer dilution is 1+4; to prepare extra fast fixer use 1+2 dilution. 1.5-2 minutes for RC based papers. 1-1.5 minutes for RC based papers. 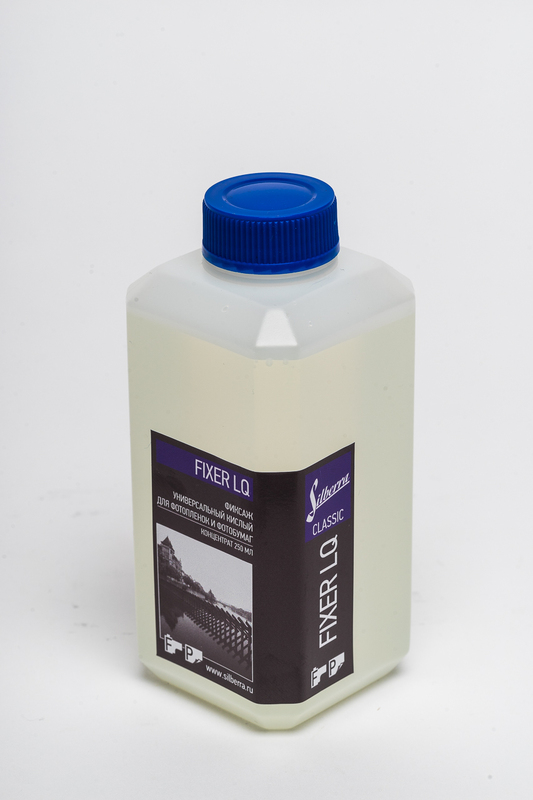 1 liter of Silberra FIXER LQ stock solution can be used to fix up to 25 rolls of film (subject to an increase of processing time for 10% per 3 film rolls) or 40-45 sheets of 18x24 cm photo papers (approximately 2 sq.m.). . 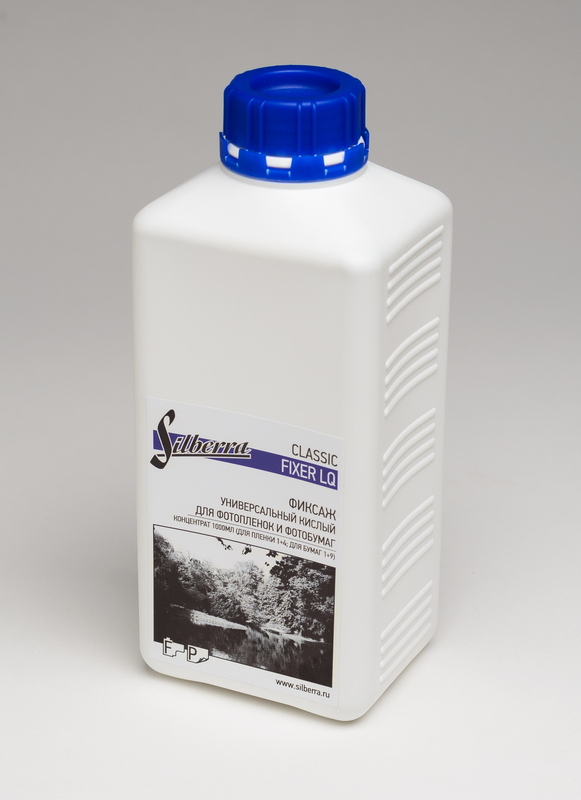 Keep your Silberra FIXER LQ working solution in a cool, dry and dark place. Keep away from children. It is optimal to store your working solution in opaque, chemically inert and tightly sealed containers with minimal air space in order to reduce oxidation. Strong ammonium scent may indicate that fixer working solution is completely depleted and shall not be used any longer. Shelf life for original sealed FIXER LQ bottle is 12 months. Silberra FIXER LQ working solution can be stored up to 3 months past the date of dilution; for partly used working solution storage period is no longer than 4 weeks.